A Peek at Next Week - AVRAHAM SUTTON on "Sunday Night Live!" "Sunday Night Live" is taking a break from live music during the Sefirat HaOmer season, and turning our attention towards Torah...after all, don't forget: Radio Free Nachlaot brings you the best music, talk & Torah 24/6 from Jerusalem to the World! And what better way to start our special Sefirat HaOmer Season off than a visit with Rav Avraham Sutton? Avraham is a unique Torah scholar. Steeped in the tradition of the great masters (the Talmud, the Midrash, the Zohar, the Ari, the Baal Shem Tov, the Ramchal, the Gra, Rabbi Nachman, the Ben Ish Chai, the Leshem, etc. ), he is an "insider" of Torah. He helps us go "behind the scenes" to understand how Hashem's Plan for Israel and Mankind is in full swing at this very moment. Based on ancient sources, he unfolds a breathtaking prophetic vision of the future direction of our planet, of mankind-of everything. Avraham emphasizes that the changes we are looking forward to are not going to happen "out there" on the outer stage of history until they happen "inside" each and every one of us. He teaches the importance of inner work, of knowing who we are, and why we (our souls) have been born at this momentous time. Born in the US, Avraham has lived in Israel since 1977, and has imbibed Torah from some of the great teachers in Jerusalem. He addresses the deeper soul-issues of our age. He speaks about the meaning of living at this crucial time in history. He is a scholar, but one who speaks from the heart. His teachings all revolve around the need to develop a greater awareness of God in our lives. We are so very fortunate to have Avraham on "Sunday Night Live" with us - this coming Sunday, May 1st at 8:30pm Jerusalem time ... you can watch the show in live streaming video (brought to you by BE THERE ISRAEL Live Streaming Video Services) right here on our web page: www.radiofreenachlaot.com , of course!!! Yes it is! Something about Yom Tov on Monday, and Isru Chag on Tuesday, so even though it's Wednesday, Wednesday, I keep singing "Monday, Monday" -- which might explain why our Israeli Soul afternoon will head into a blues-day afternoon, featuring all sorts of Blues music - Women with the Blues, Old time blues, and even some of the newer blues singers - all leading up to 9:00 PM when Maya will be on the air, tonight featuring the classic U2 album, "ACHTUNG BABY." Maya says that "this album has sold over 35 million records to date and is a classic break through for rock music and concerts. Zoo t.v.-the world wide tour that followed the album made music history." Maya is going to play the album and give us all the information that we need to have to know the album in a more intimate way. That's right, 9-11 PM, Maya will lead us into her world of night-time rock music, tonight, up close and persoinal with U2. And after that? Lorelai will be driving the bus right through 'til Thursday night when, yes, once again we'll be "cookin' for Shabbos!." Heart to Heart and The Returning Light will not be broadcast this week. Sunday Night Live will be back this Sunday Night, between 8 and 11 PM with our special guest: R' Avrohom Sutton. Can it really be the start of Season Three? If you remember back when we declared the start of Season Two, we said that we didn't really know how to attach a time frame to a season - Radio Free Nachlaot seasons would set themselves, and it would be our (Steve and Lorelai) job to know when one ends and the other begins. It is clear to me that we are beginning Season Three. We've left Egypt. We've crossed the Red Sea. We're heading to recieve the Torah (again - as we should every day!) and then, properly equipped, we'll be heading into the "Land." But right now, as we stand on the safe banks of the Red Sea, we are (or at least I am) asking that big question - WHAT'S NEXT???? ...and you know it's not about what SHOULD be next, or what I WANT to be next - the question is WHAT IS NEXT? What is the Ratzon Hashem, and what do we need to do to reveal that and connect to that so that we actually do what needs to be done - next! Sounds like a time to start a new Season. Season Three - a time to figure out and do, what's next. 11:00 AM - 1:00 PM - Maya will be here to feed your mid-morning musical munchies. 7:00 - 8:00 PM The Homegrown Hour - featuring the best of that which has been grown at home -- MP3 files preferred - sent to us by our friends from all over the world, rolled up and presented once a week for your entertainment pleasure! 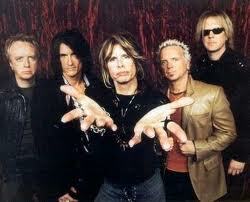 8:00 PM - 11:00 PM 'ish -- Steve's Rock and Roll show exploring just what it is: Rock and Roll. Beyond that? I guess we'll all have to just stay tuned! Heading towards the Red Sea, and who should we meet? That's right, you walk down a good road, you meet good people. Isn't that what they say? 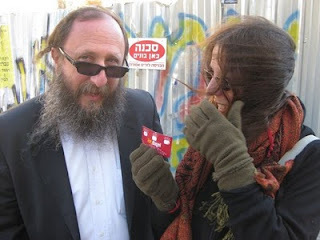 Well, today, as we continue our trek out of Egypt, with the Red Sea waiting perilously in front of us, we will be joined by our friends Reb Eliezer (Lazer) Garner and his holy rebetzin, the "Rockin' Rebetzin", Michelle to spend some time with us -- right here, live, in Yerushalayim, in Studio B. Yes, we're going to keep the lights and the cameras off, turn the microphones on, and do radio like we originally intended it to be. Radio. Audio. Music, Talk and Torah - right here from our undisclosed location, deep in the heart of Nachlaot. More than this i can't tell you - it's going to be Mamash, a Gevaldt! Chol HaMoed Pesach - such a great time to be out and about in the beautiful Land of Israel! The weather is perfectly mild, the roads are open and beckoning, the sweet feeling of Springtime in the Holy Land is upon us ... but you know what? Shabbos is coming, Shabbos Chol HaMoed is coming ... and some people say the best part of a journey is returning home. "There's no place like home," intoned Dorothy at the behest of Glinda the Good Witch, clicking her ruby slippered-heels together three times .... "There's no place like home, there's no place like home..."
If there's anything we learn from the Exodus from Egypt and the behavior of the Children of Israel in the Desert, it's this: THERE'S NO PLACE LIKE HOME! 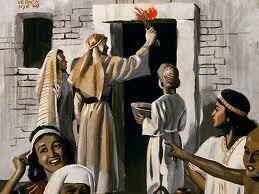 We were taken out of Egypt where we had sojourned for hundreds of years ... but was that HOME for us? Were we ever "at home?" What is that "At Home" feeling? A place you can relax, take your shoes off, be ... yourself. Safely, securely yourself. We never felt like that in Egypt. Specifically, HKBH warns us never to oppress a stranger, for we too were "Strangers in a Strange Land." Egypt was never "home," but when the Children of Israel were on their way to Eretz Yisrael and knew there were coming "home," how exactly did they conceive of that idea? In a way that only makes "sense" within the context of our journey through the Jewish Year and the Hebrew Calendar, we're very much on our way home right now - we're counting the Omer, fixing those messes we've made on the attributes of our personality and souls, and we're marching together towards our real, true Selves and our very home - within and without. 10am - Marvin Gaye "What's Going On?" 1pm: Rolling Stones "Sticky Fingers"
... and at 2:30pm today on the "Not for Kids Only Children's Hour" Show we're playing THE WIZARD OF OZ - that's right, a special pre-Shabbos treat for the kids and inner children alike. Gather 'round the radio, folks and enjoy THE WIZARD OF OZ together with the whole family, and then ... talk amongst yourselves! 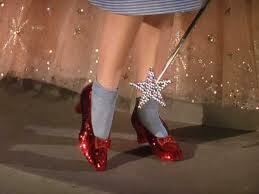 Topic: "There's No Place Like Home - What Does That Mean to YOU?" Discuss amongst yourselves! Enjoy - we're here with you, running through the Red Sea or dancing through the Desert - it's Erev Shabbos on Radio Free Nachlaot! Cool Chol haMoed - Chillax with Radio Free Nachlaot! Lorelai picked up the stream after Pesach, and yesterday we heard a lot of long, great concert favorites ... including (l'kavod "4/20") The Grateful Dead Movie, which played at 4:20pm on Wednesday, 4/20. Steve has the stream now and you'll be treated to Steve's holiday week tunefest . . . you'll find it to always be the appropriate mood-music accompaniment to your Chol haMoed activities! It's finally here - the night above all other nights for the Jewish People (and by extension, for all humankind) - the night that the light of our redemption begins to shine. How can light shine at night? How can slaves become free overnight? How can a Nation be born in a single day? How can millions of people pack up a few things and leave a country they've been living in for hundreds of years in only a matter of hours? EXODUS ...a movement of the people - EXODUS, a movement of the One-And-Only Living and Eternal G*d, blessed be His Holy Name, Who sent His destroying angel to kill the firstborn of Egypt as the climax of 10 plagues, while His Chosen People (and those who feared G*d and clung to them) were safe inside homes where the blood of the first-ever Paschal lamb was seen on the sides and above the doors of the house by the Angel of Death, so as to say: NO ADMITTANCE HERE. 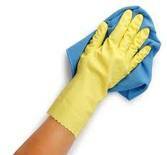 Free to serve HKBH, free from being slaves to our inner (and outer) "Pharoah." 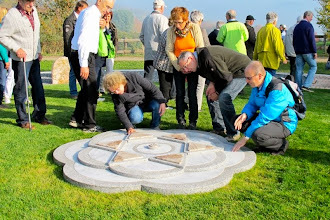 There are many mitzvot connected to Passover - the removal of chametz (leaven) from our households, the baking of matzo, the seder itself - but the MAIN mitzvah is to TELL THE STORY. We're telling the story for you all day long here on Radio Free Nachlaot - in song, in shiurim, until about 6pm tonight - and then we're turning off the radio for Pesach. Don't worry. We're Jews living in the Holy Land of Israel, the Land of our redemption song - we only keep ONE DAY of Yom Tov here, so we'll be back Tuesday night with more great music, talk and Torah. 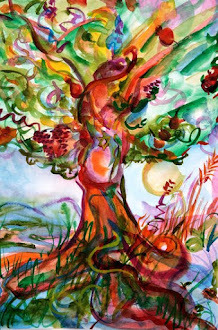 Wishing all our friends, fans and family world-wide a Kosher v'frelichin Pesach Sameach - have a wonderful, happy Passover - let us rejoice together that we once were slaves and now are FREE, thanks to the deliverance that HaShem visited upon us, even when we didn't really deserve it because, according to the Midrash, we had sunk so low in Egypt that we were at the 49th Level of Impurity. How can the Holy One, Blessed Be He, redeem a people so almost-lost in impurity in one night? Pesach is coming! 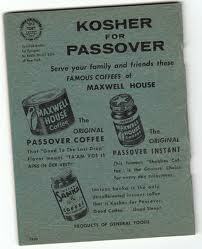 Pesach is coming! REDEMPTION IS COMING ... ZION TRAIN IS COMING OUR WAY! Shavua Tov - Shavua Tov! Yes, it's a new week. And even though it might seem like a short week (I mean Monday Night it's Yom Tov - and that starts a whole new time cycle - the week of Chol Hamoed, and the Sefiras Ha'omer) what a week this is. 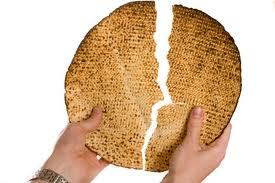 The week of Pesach. The week of Redemption. Freedom is in the air. On a physical plane, we free ourselves of Chometz - our diet changes, our eatimg habits are refined, and on a spiritual plane we free ourselves of all the stuff that "puffs us up" - all the stuff that really holds us back. Motzoei Shabbos we'll be on the radio with a special Melave Malke to create a soundtrack for the final preparations for Pesach, the final preparations for Redemption. 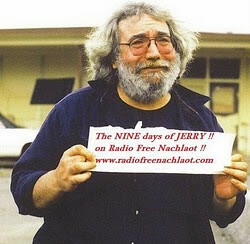 On Radio Free Nachlaot, it is the music that matters - it's the music that spreads the message - it's the music that prepares the setting, creates the atmosphere so we, each on our own level, can make the connection to that which is beyond us, to that which is within us. Saturday Night - Motzoei Shabbos, Shlomo meets Geulah -- Shlomo will lead the band, and the music will set us free! Come ride the Freedom train with Radio Free Nachlaot, all the way to Yom Tov! Please Note: This Sunday night's edition of: Sunday Night Live will be "live" from our audio archives. First we'll hear from Lazer Lloyd Blumen, live from the Yellow Submarine 3/9/11, and then R' Yitzhak Marmorstein and Greg Wall and the Later Prophets - the Music and Poetry of Rav Kook - live from Beit Amichai, 2/10/11. Enjoy these live shows, and stay tuned for the return of Sunday Night Live after the Pesach Holiday Break. Shabbos HaGadol is coming! It's the GREAT BIG Shabbos right before Pesach, we're poised between cleaning and chametz-removal and being "Kosher l'Pesach" - some of us have completed our homes, most of us are still somewhere in-between .... but ALL of us have to stop, right before Pesach - stop, and breathe, and be enveloped in the peace and tranquility of Shabbos. Maybe that's one reason why it's called Shabbos HaGadol, because it's GADOL - a big deal - to stop this trajectory of pre-Pesach activity. But it's all about stopping, and just BEING ... in Shabbos, together, as we take a little taste of "Olam HaBa'a" (the World to Come) right before we're to be tasting matzoh, the bread of our redemption. Have a restful Shabbos everyone ... we'll be back Saturday night and then off again Monday night through Tuesday night for Pesach in Jerusalem ... yes we keep ONE DAY of Yom Tov, our listeners in Chutz l'Eretz will miss a whole day of programming - hey, yet another reason for you to make Aliyah and join us... NEXT YEAR IN JERUSALEM!!! Shabbat Shalom! Good Shabbos, good Shabbos! Melinda Mindy Ribner on "Heart to Heart" TODAY at 2pm! Author, therapist and pioneer in Jewish meditation teacher Melissa Mindy Ribner will be Lorelai's guest today on "Heart to Heart," and if you've never hung out with Mindy you don't know what the chill zone is all about! Check her blog at Kabbalah of the Heart and sign up for her email list (you'll LOVE them!) at: beitmiriam@msn.com ... "Watch us on the Radio today!" "LET MY PEOPLE GO (Shopping!)" 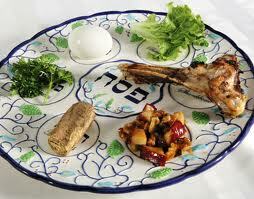 Pesach is coming, Pesach is coming - whether we're ready or not! Have you parted the Red Sea of your kitchen yet? Have you shopped until you've dropped? 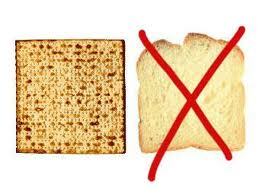 Have you relentlessly hunted down every crumb and son-of-a-crumb of chametz in your household? So much to do and so little time ... and let's not forget the MOST IMPORTANT thing, which is - REDEMPTION! Pesach isn't just about cleaning, cooking, eating, schlepping, schvitzing and kvetching - it's about our REDEMPTION as individuals and as a Nation. 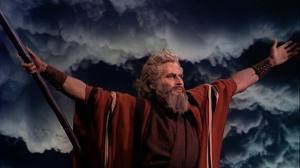 "LET MY PEOPLE GO..." to the Shuk! To the Shul! To wherever they have to go to get the job done - and then let us all say - AMEN, pass the matzah and may we all finish at LEAST four cups (if not FIVE!) of wine on Seder night ... of course here in Israel we keep ONE NIGHT OF PASSOVER not two - just another perk of living in the Holy Land! Thursday will be our last day of Video Broadcasting for a while - we'll have our friend MINDY RIBNER as Lorelai's special guest on "Heart to Heart" at 2pm, and at 4pm Benzion Eliyahu Lehrer and Lorelai will go together into "The Returning Light" (special pre-Pesach edition!) Watch us on the Radio right here in live streaming video courtesy of BE THERE ISRAEL, the streaming video experts! Make a note of it so you don't wonder why you aren't hearing anything during those times! Enjoy the rest of our broadcasting week - we'll be bringing you the best music, talk & Torah 24/6 (except for Shabbos & Chaggim!) 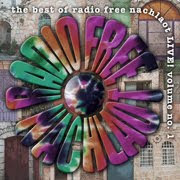 from Jerusalem to the World - right here on Radio Free Nachlaot! SHTAR - on "SUNDAY NIGHT LIVE" - TONIGHT!!! Shtar is coming to "Sunday Night Live" April 10th! We're so proud to announce the hot new bad SHTAR will be our guests for the final musical performance on "Sunday Night Live" before we break for Pesach and the Omer season (we won't have live music again on SNL until the week after Lag B'Omer ). Don't worry. We'll still have lots of great video programming, but no live music during the Seifrot haOmer season - from Pesach to Lag B'Omer. What better way to wind up a stellar "Season One" of live video programming than with Shtar? The Shtar crew is a 5 piece machine that pumps out pure cuts; This Voltron musical makeup is comprised of Seattle’s own Ori M’Ori on microphone sanctification, London massive Binyamin Adam orchestration and guitar illustration, Dan Isaac with the vocal purification, Avi Sommers from NYC laying thick BASSick and Jerusalem's own Tzvi Solomons keeping the time right. Shtar represent Israel now but grew up on underground hip-hop, pop and indie and are on a worldwide plot to spread reality met with melody compounded with a capital FRESH. SHTAR! Sunday April 10th, 8:30pm Jerusalem time - in live streaming video - on RADIO FREE NACHLAOT! It's that time again - the time every week we turn OFF our broadcasting software, and enjoy the greatest gift HKBH has given us - SHABBAT. After the highs of this week, Shabbat is the only answer! "Shabbat fixes everything." 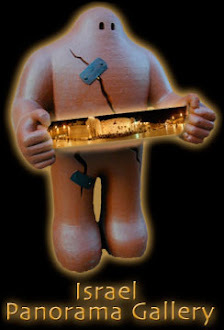 We're a place "Where Shlomo Meets Jerry (on the Temple Mount!)" - as we let Reb Shlomo take us into Shabbos, we wish all our friends, family & fans a sweet and restful Shabbos, and we'll see you on the radio Saturday night between 9 and 9:30pm for our Melava Malka, "Where Shlomo Meets Saturday Night." "It's My Crisis and I'll Cry if I Need To!" - Author Yocheved Golani on "Heart to Heart" TODAY! Author Yocheved Golani joins Lorelai for "Heart to Heart" today at 2pm Jerusalem time. Yocheved is the author of "It's My Crisis and I'll Cry if I Need To: Empower Yourself to Cope with a Medical Crisis," and she knows of what she speaks. Watch and listen to Yocheved describe her own harrowing experiences and what she learned about surviving - and thriving - through a life-threatening crisis. 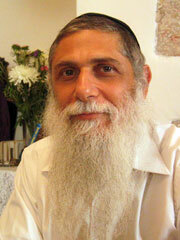 Benzion Lehrer will be back with us at 4pm for another episode of "The Returning Light." We'll check out where we're at in the Jewish Year, what's happening on both sides of the Hebrew Calendar - what, you didn't know there's two sides to the Hebrew Calendar? Then you've got to watch our show - we're taking you places where few dare to go as we explore the patterns of time and Torah - together! You can watch past episodes of "The Returning Light" in our video archive library at www.livestream.com/radiofreenachlaot - check it out! At 7:30pm we'll be live with Rav Ozer Bergman, learning Rebbe Nachman - you can join us at 23"A" Betzalel Street in the Nachlaot neighborhood in Jerusalem in REAL life, or you can watch us on Radio Free Nachlaot via live streaming video. This is the last class before Pesach, so don't miss it! And after that ... we may have a big surprise, so check back later! What do you do the day after the biggest day ever? Yesterday's 2nd Annual Temple Mount Awareness Day program was insanely wonderful - we had thousands of visitors to our web site watching the show from all over the world, wonderful generous individuals who sponsored the program, fantastic guests, a dedicated all-volunteer support staff, mad ninja producers and technicians, and altogether the 6 hour program seemed like it went by in less than an hour (at least from our "inside" point of view) - and we had some fun and bumpy technological moments, but hey, that's LIVE broadcasting! 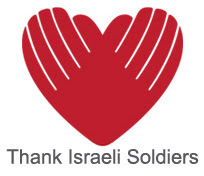 We have to thank BE THERE ISRAEL for streaming the event in wonderful quality real-time video to thousands of people world-wide. If you have ANY kind of event in Israel you need people anywhere to be able to see - BE THERE ISRAEL is your solution! It's so important to remember that EVERY day should be Temple Mount Awareness Day. 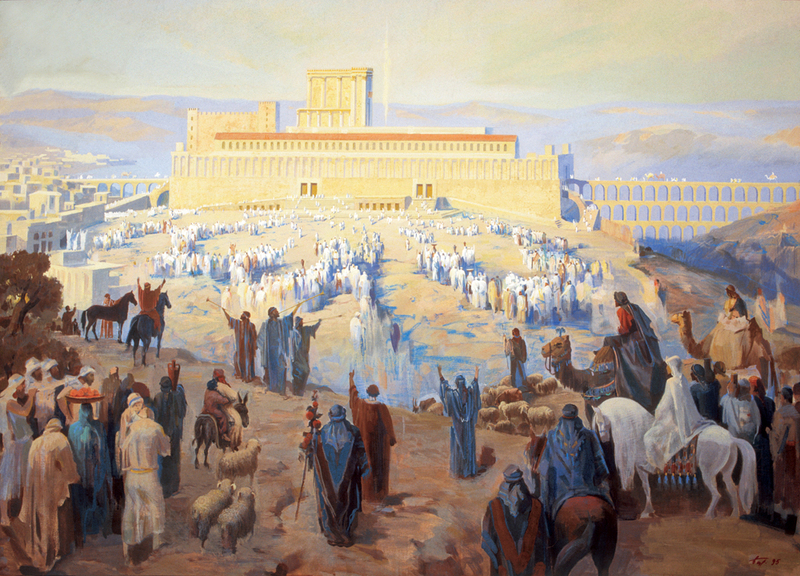 We want to invite you to visit THE TEMPLE INSTITUTE and enter the world of the Holy Temple! Please support the work of the Temple Institute! Those of you who have been with Radio Free Nachlaot since our humble beginnings in November 2009 are no strangers to Rabbi Chaim Richman. We've been broadcasting his weekly Torah portion pieces, "Light Unto the Nations" show, "Temple Talk" and of course the original programming we've done with him both on the radio and now in live streaming video. In fact, the picture on this post is of Rabbi Richman bestowing a Holy Bagel discount card upon Lorelai on the occasion of her birthday. Holy Bagel - Holy Temple - holy, holy, holy is the LORD G*d of Hosts, the whole world is filled with His glory! Rabbi Richman has always brought holiness and goodness to us - and we're proud to be able to feature his programming on Radio Free Nachlaot. In case you missed it the first time, CLICK HERE to watch our special video radio show we did with Rabbi Richman when he recently returned from America on February 10th of this year. We wanted to make sure you know more about our special guests from yesterday. The work of Attorney Baruch Ben Yosef, Temple Mount Legal Scholar who was our guest during Hour 1 of the show can be seen at LaMikdash. The work of Archeologist Yitzchak "Tzachi" Zweig , Founder and Director of the Temple Mount Sifting Project, (our guest during Hour 2) can be seen at the CITY OF DAVID site. The work of our guest during Hour 3, Yisrael Medad, Veteran Temple Mount Scholar and Activist, Director of Educational Resources at the Menachem Begin Heritage Center, can be found at his blog "My Right Word." Hour 4 featured the music of Rabbi David Louis and the "Mikdash All-Stars." Rabbi Louis only believes in LIVE music - he's a purist! and so the only way you'll get to see him again is by watching Radio Free Nachlaot - gevaldt, we're ready to make him our house band and we were VERY reluctant to allow him to leave the studios last night - next time he comes we may not let him out! Reuven Prager of Beged Ivri was our special guest during Hour 5. We need to have him back, his presentation was fascinating and we just didn't have enough time - we need at least another hour with him! ... and of course, Rabbi Chaim Richman and Yitzchak Reuven can always be found by visiting THE TEMPLE INSTITUTE - send them a message of support today! BIG UP and BIG THANKS to our Director, Ian Estricher, our co-executive producer Daniel Shugert, our sound ninja David Levi, our awesome crew Yosef Adest, David Simon, Brian (Yosef) Friedman, Missy Schlade and our wonderful communications and logistics staff Maya Yakabov and Chana Klein. So... what DO you do the day after the biggest day ever? Speaking of Maya (who volunteered on our crew yesterday, B"H) ... unbelievable, but she's doing her show tonight! An AEROSMITH TRIBUTE SHOW, yes that's right, our DJ Maya will be bringing Aerosmith to the RFN airwaves tonight (Wednesday) from 9-11pm Jerusalem time (that means people in the U.S. can really listen). Maya's Mid-Afternoon show will be back next Tuesday at 11am Jerusalem time - that's TWICE a week now, Maya in the Mid-Afternoon Tuesdays at 11am and Maya at (Almost) Midnight, Wednesdays at 9pm. 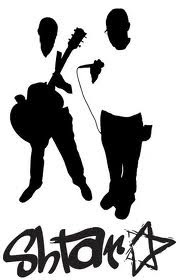 Check out her blog at MAYA'S WORLD OF MUSIC and read all about it! As for Steve and Lorelai ... where do WE go from here? Last night after the show, neither Steve nor Lorelai were able to formulate a complete sentence.The "We're Just Too Blown Away By What Just Happened" Syndrome was in full force. But don't worry ... we'll think of something. After all, Steve (as Musical Director of Radio Free Nachlaot) has already declared that when the day does come, with G*d's help, that we are able to broadcast RFN live from the Temple Mount, the first song he'll play will be "HIGHER AND HIGHER" (the Bruce Springsteen "Rock & Roll Hall of Fame" version). So maybe that's the answer - there's only one way to go from here (after we get a little sleep): HIGHER AND HIGHER. And as The Boss says at the end of the song: "THAT'S ROCK 'N' ROLL!" TUESDAY APRIL 5th - WELCOME TO THE 2nd ANNUAL TEMPLE MOUNT AWARENESS DAY PROGRAM! "The Holy Temple: NOT Just the holiest site on Earth: A State of Mind!" Join us as we get into a Holy Temple State of Mind! We're going live at 2pm Jerusalem Time (GMT+2 which is 4am West Coast / 7am East Coast time) and we're STAYING live for 6 whole consecutive hours! 2nd Annual Temple Mount Awareness Day will be brought to you in live streaming video by BE THERE ISRAEL Streaming Video Services. You'll watch it right HERE on our web page and you can click on the "chat" icon beneath the video player to enter the chat room and chat with other listeners in an interactive environment. The program will be hosted by Radio Free Nachlaot's Steve Levine and Lorelai Kude, who will be joined by Rabbi Chaim Richman and Yitzchak Reuven of the Temple Institute. An Anonymous Donor: To the Fogel family and all the Holy People that live in Itamar. Thomas Hays: Dedicated to Puah My wife to whom without I would be nothing. Judith & Tony Tafoya: in memory of our parents, Fidel & Sarah Tafoya and William & Margaret Gordon, and to thank all those who labor in so many ways to shed the light of HaShem's love and teachings to the world. Brian & Camie Davis: In memory of Mrs. Frances Bratcher and Mrs. Ginger Burnside who loved Israel with all of their heart. Anonymous the merit of Ephraim Israel Ben Ossnas, that he should be freed from the legal problems that he is currently experiencing. You can call into the show as well - the number will be displayed on-screen during the call-in segments so you'll have to watch the show to find out how! Remember, we'll be rebooting our systems every hour to make sure our software and extremely complex multi-system recording and multi-stream streaming setup doesn't crash and burn, G*d forbid! So if we have to reboot and you stop seeing or hearing the video or audio for a minute or two, don't worry - just re-launch the media player if you're listening on the radio, or refresh the web page if you're watching on the video. Thank you for being our friends, family and fans - we couldn't do this without you - may we all merit to celebrate together on the Temple Mount in the rebuilt 3rd Temple SPEEDILY and in our day SOON... tomorrow would be just fine with us too! SEE YOU ON THE RADIO - WATCH US ON THE RADIO! YEHUDA GLANTZ IS IN THE HOUSE! YEHUDA GLANTZ IS IN THE HOUSE! Watch us on the radio 8pm TONIGHT, Sunday April 3rd (that's GMT+2, folks) in live streaming video courtesy of Be There Israel - you'll see international performing artist Yehuda Glantz like you've never seen him before! Friday's print edition of the Jerusalem Post (page 24 of the "In Jerusalem" insert) features an article about Radio Free Nachlaot and our upcoming 2nd Annual Temple Mount Awareness Day program (April 5th from 2pm - 8pm Jerusalem time). OK, so they spelled Lorelai's name wrong (it's "Lorelai" not "Lorelei") and they didn't include the URLS's to our "parent company" the Jerusalem Media Group www.jerusalemmediagroup.com or the link to Be There Israel Live Streaming Video www.bethereisrael.com - without whom we wouldn't be able to do the program at all! But still, OMG, we're in the Jerusalem Post! Which will explain why on today's radio programming it's certain you'll hear "On The Cover of the Rolling Stone" played, at least once! Let it be noted that this is the THIRD CONSECUTIVE WEEK that a Levine has been in the Jerusalem Post! Three weeks ago Steve's nephew Dovid Levine was featured for his work with Matsav (which is #7 in the finalists for the Dell Social Innovation Prize this year!) and last week Steve's niece Pia Levine was featured because of her role in the Jerusalem Marathon - and this week it's "Uncle Steve" that basks in the Jerusalem Post's limelight. Ummm, limelight! If you add Jack Daniels to limelight, it ought to be pretty tasty! So - if you're in Israel, go out and BUY a copy of the print edition of today's Jerusalem Post (on the Jerusalem Post's web site the article is under the "Premium Content" which means it needs to be paid for to be viewed - and I'm fairly certain WE don't get a cut of that fee!) and carry it around with you every day, when you see Steve or me on the street ask us to sign it for you - we'll be happy to! AND WATCH US ON THE RADIO TUESDAY APRIL 5th FOR THE 2nd ANNUAL INTERNATIONAL TEMPLE MOUNT AWARENESS DAY PROGRAM from 2pm - 8pm Jerusalem Time! CLICK HERE TO READ A TRANSCRIPTION OF THE JERUSALEM POST INTERVIEW!! !